CAP stands for Client Appreciation Program. This program allows us to express our gratitude for past and future business that our clients bring us. We strongly believe that once you work with us, you will become a client for life. In order to show you how important your business is, we have several ways of rewarding your referrals and past business. It can be as small as a dinner at a nice restaurant to renting a private theater and taking all of our clients to the movies. 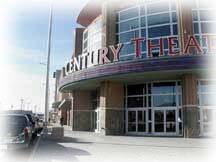 Every year we rent a movie theater and take our clients to see a movie. All you have to do to benefit from our program is be a past, present client, or refer us business and we will make sure we show you our gratitude. Sometimes people do not tell us how they found out about us, so please let us know via e-mail or phone when you refer us business so we can properly reward you.